Built on the last squares of the alluvial plane which spread from the River Forth at Alloa, south of here, to the start of the Ochil Hills, splendidly apparent before us, Alva is a compact hillfoot town in the Devon Valley. Alva Burn feeds the Devon River upon which was built the towns textiles industry, now making knitwear and tartan shawls. 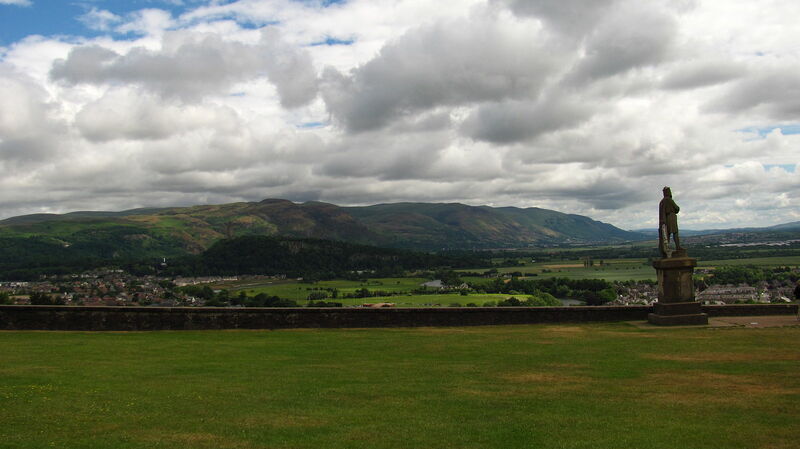 During the 18th century silver was mined in the hills to the rear (hence Silver Glen, leading down to the town), the highest of which, Ben Cleuch, is at the extreme right. The Devon River has its source just there too, but in order to reach the point at which it is visible here, it takes a very long way round, making a U-turn several miles to the east. Contact Ireland & Scotland Luxury Tours now to organise you visit to Alva on your tours of Scotland.